My interests have focused on how an individual survives and what drives that survival based on various aspects of physiology, behaviour and ecology with specific focus on high(er) latitude species. During my MSc thesis, I developed a keen interest in pinnipeds for the challenges that they face having to deal with both an aquatic and terrestrial life as well as the inherent difficulty in studying them. Joining with Dr. Twiss for my PhD, I will be investigating fine-scale individual differences in activity budgets and behaviour of lactating female grey seals using tri-axial accelerometers. More specifically, I seek to develop methods for remote monitoring of fine-scale behaviour as well as to investigate the potential physiological and energetic costs and trade-offs of different behavioural types. New developments in technology and tagging methods present an exciting way to evaluate many research questions that were previously unattainable. Pinnipeds and other marine mammals therefore offer an excellent proving ground for these new technologies. It is my hope that my contribution to this field will help to improve these methods in the hopes that they could be applied to other cryptic or relatively inaccessible species. Horning, M., Haulena, M., Tuomi, P.A., Mellish, J.E., Goertz, C.E., Woodie, K., Berngartt, R.K., Johnson, S., Shuert, C.R., Walker, K.A., Skinner, J.P., Boveng, P.L., 2017. Best practice recommendations for the use of fully implanted telemetry devices in pinnipeds. Animal Biotelemetry 5(13). Shuert, C.R. & Mellish, J.E., 2016. Size, mass, and occurrence of gastroliths in juvenile Steller sea lions (Eumetopias jubatus). Journal of Mammalogy, p.gyv211. Shuert, C., Horning, M. & Mellish, J.-A., 2015. The Effect of Novel Research Activities on Long-term Survival of Temporarily Captive Steller Sea Lions (Eumetopias jubatus). Plos One, 10(11), p.e0141948. Shuert, C., Mellish, J. & Horning, M., 2015. Physiological predictors of long-term survival in juvenile Steller sea lions (Eumetopias jubatus). Conservation Physiology, 3, pp.1–10. Shuert, C.R., Skinner, J.P. & Mellish, J.E., 2015. Weighing our measures : approach-appropriate modeling of body composition in juvenile Steller sea lions (Eumetopias jubatus). Canadian Journal of Zoology, 180(January), pp.177–180. 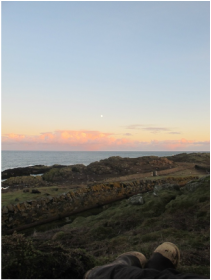 Shuert C. R., Pomeroy P., Twiss S. (2017) Behavioural trade-offs in a capital breeder: Quantifying individual differences in lactating grey seals (Halichoerus grypus) using accelerometry. Oral presentation - 22nd Biennial Conference on the Biology of Marine Mammals. October 25, 2017, Halifax, CA. Shuert C. R., Pomeroy P., Twiss S. (2017) Behavioural trade-offs in a capital breeder: Quantifying individual differences in lactating grey seals (Halichoerus grypus) using accelerometry. Poster presentation - 6th International Bio-logging Science Symposium. September, 2017, Konstaz, Germany. 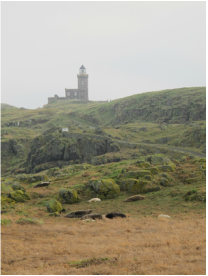 Shuert C. R., Mellish, J., Horning M. (2015) Steller sea lion Survivors: A retrospective on the impact of alternative research methods on an endangered species. Oral presentation - 21st Biennial Conference on the Biology of Marine Mammals. December 16, 2015, San Francisco, USA.